Photo courtesy of oddivy at Flickr.com. There are thousands of different worms in the average backyard. They come in about 2,700 different varieties, and many of these species are rarely seen. Some worms are camouflaged to hide in plain sight, and others live deep underground and come to the surface only when they have to. After it rains, worms are easy to find because they breathe through their skin and are driven up to the surface and often climb onto concrete driveways and sidewalks. It’s easy to collect these worms for a compost bin, but there are important differences between the worm species you will encounter. The Common European Earthworm (which is also called the nightcrawler) lives deep underground, with vertical burrows that go about 6 feet down. Night crawlers are commonly found in gardens or near compost piles, but this worm is ill-suited for compost bins. The nightcrawler’s scientific name is Lumbricus terrestris, and it is an anecic worm that doesn’t like to stay near the surface. 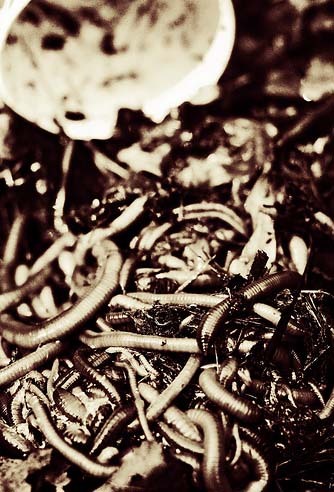 If you put nightcrawlers in a compost bin, they will constantly try to escape through the bottom of the worm bin, and they will die from exhaustion instead of breeding or working the soil. Nightcrawlers are also sometimes called “tiger worms” because they have alternating red and buff stripes – those stripes make Nightcrawlers easy to identify. For a vermicomposting bin, Red Wigglers are the best type of worm because they prefer to live near the surface. There are two very similar worms that are both called Red Wrigglers: Eisena fetida and Eisena andrei. Both species look very similar, and they can live side by side without any problems. As red wigglers eat organic waste, they blend it with soil in the bin. Compared to the original soil levels, their worm castings contain approximately 40% more humus, 150% more calcium, 300% more magnesium, 500% more nitrogen, 700% more phosphates, and 1100% more potash. Here’s a pictorial worm guide that you can use to identify species in your garden. There are many endangered species of earthworm, and if you find a rare one, you can really help improve our knowledge of the species! After you collect red wigglers, put them to work around your house! All it takes is a sheltered bin, scrap paper, some healthy soil, and your food scraps. Shredded paper goes along the bottom of the compost bin – this acts as a fence to keep worms inside and it also buffers to moisture of the bin. Since paper soaks up water, the layer of paper will help maintain a constant level of moisture similar to a wrung out sponge. 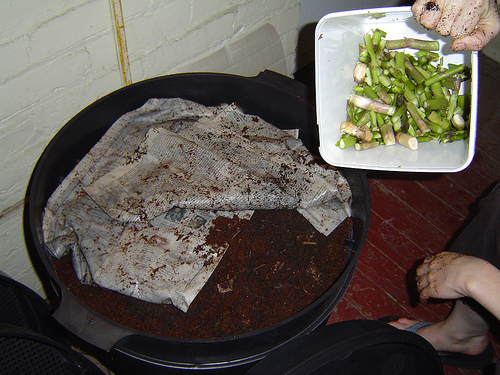 Add a layer of soil to the shredded paper, and then bury food scraps under the soil. The soil acts like a highway for worms, and it also introduces healthy bacteria that will accelerate the breakdown of vegetable rinds and fruit pulp. Photo courtesy of phatpatmtn at Flickr.com. Photo courtesy of geo rich at Flickr.com. 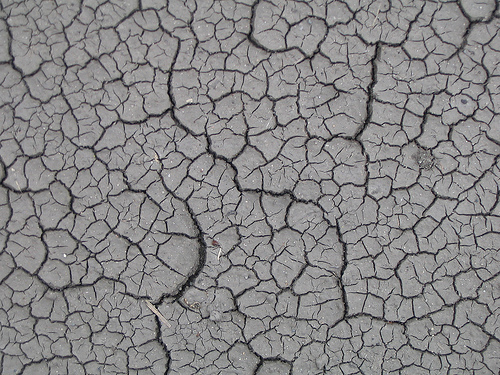 Does your yard have terrible soil? 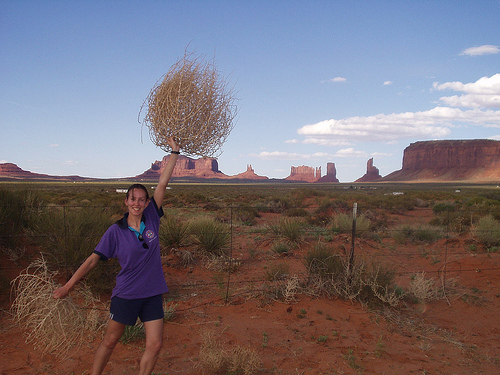 If even mesquite trees and tumbleweeds struggle to survive, it’s still possible to save the ground and restore life to the most barren patch of dust. Instead of bringing in bags and bags of topsoil from somewhere else (where they were probably needed! ), have you considered composting? A compost pile or compost bin does 2 good things at once. Composting helps reduce the amount of garbage that you send to a landfill, and it produces nutrient rich soil that can be used to improve the health, water retention, and elasticity of your yard. Compost is made from organic material and contains many of the elements that plants need in just the right balance. It also contains millions of good bacteria – the very bacteria that spread out into the surrounding earth and restart the cycle of life. Compost holds water very well, which can come in handy if your yard floods easily or has a runoff problem that depletes the soil. Compost is also light and fluffy, which means that it can be used to fill cracks in the ground and it will loosen up compacted soil. Photo courtesy of CleanAirGardening at Flickr.com. Photo courtesy of Sustainable Harvest International at Flickr.com. Does your town collect leaves in the fall and Christmas trees in January? Often, this garbage is taken to a central location and shredded for use in landscaping all around town. Throughout the year, tree trimmings and grass clippings are often added to municipal compost heaps. Many cities offer this mulch and compost made from this mulch for a fee. Depending on how much money your town spends to support the program, these community composting centers can offer high grade compost or questionable compost contaminated with unhealthy scraps. There’s no need to go to the town compost pile. Instead, turn to your back yard and take control over the compost that you use. Home composters are available that can handle any amount of kitchen scraps or yard waste. There are large and small composters available in just about any shape or color. For the fastest results, there are even tumbling composters and worm composters. Composting with worms is very rewarding, because worms do all of the work of aerating and turning a compost pile for you. Instead of using a pitchfork to turn partially decayed compost, you can sit back and relax, knowing that your worms are happily at work. Worms work at all hours of the day, and they will quickly reproduce until their numbers match the available food supply. This biological feedback loop ensures that worm bins break down food scraps quickly and without wasting any effort. Worm composters are self contained, and they don’t require any expensive supplies. 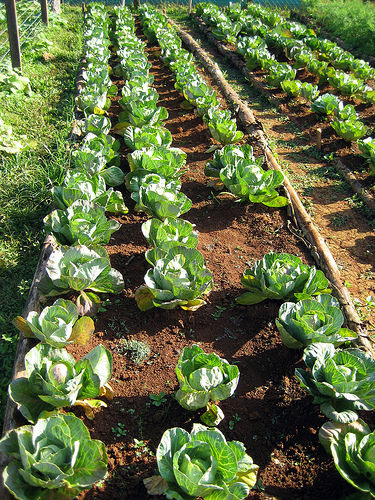 In fact, they take “worthless” trash and convert it into high quality fertilizer, which can add up to some big savings. 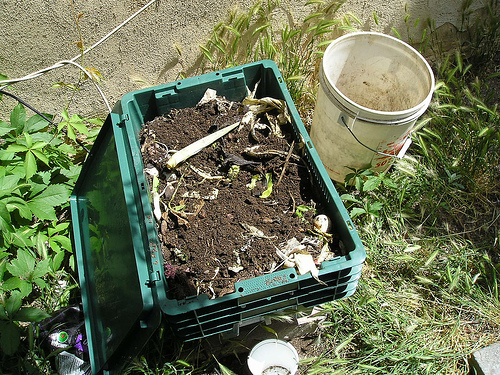 Home composting reduces the volume of trash that you throw away, and some garbage companies charge based on volume. Vermicomposting also saves money because it reduces the cost of landscaping and creates a soil amendment that’s perfect for filling cracks or depressions in the yard. Photo courtesy of quapan at Flickr.com.